It's been a fine week weather wise, sunny days and most importantly, no rain. So we've got a lot of good work done on the boat. 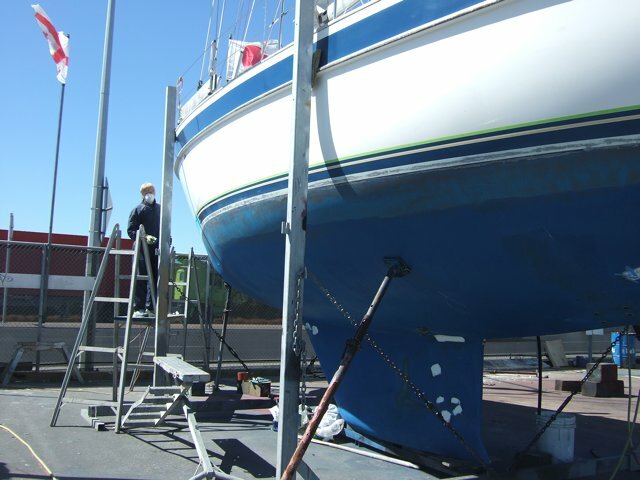 It's been mostly on the bottom, sanding and filling were necessary in preparation for antifouling. The Hallberg Rassy blue lines just above the water line are painted on and are both looking a bit tatty in places - all those miles have taken their toll, so when the local boat builder here said they had a super machine from Sweden that could match any colour of paint and they could respray it, a quote was requested. This was too much, so we've done a deal whereby we will do all the preparatory work, including all the masking up and sanding, and they will supply the paint and do the spraying. So the last couple of days have been spent on that. Masking up two close lines means putting on 4 lines of masking tape and getting these straight takes a lot of concentration and is very slow and tedious, especially when it's quite high up above the ground. We're glad that's over! Sanding the lines is near enough complete and as soon as the good weather returns the spraying should go ahead. Rain is predicted for most of next week, so our attention will turn to work inside the boat. Worked stopped on Friday night and our week-end has been dominated by rugby again. The South African game on Friday was being shown live on Maori TV, so we could see it on the boat. 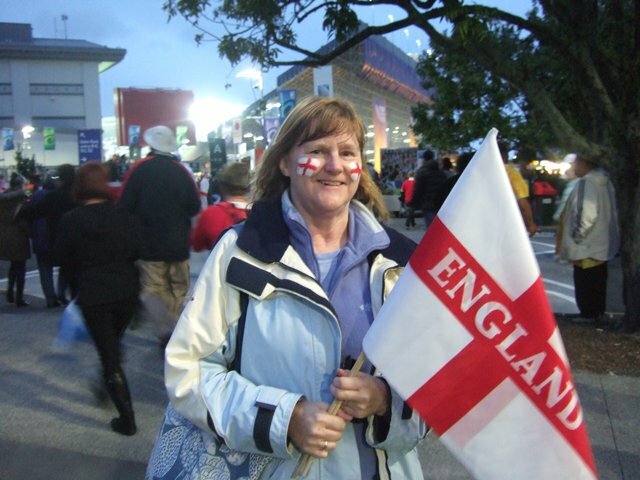 And then it was off to Auckland on Saturday to see the England game against Scotland at Eden park. It rained most of the day. It rains every time we go to Auckland! 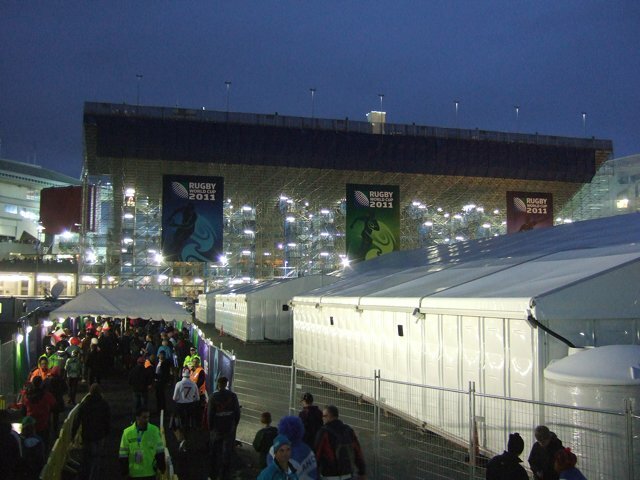 The game was at 20.30 and luckily the rain stopped after the first 15 minutes, so we didn't get too wet, and as we had all our oilies on, including waterproof trousers, we stayed warm. The game was really exciting and it was a great atmosphere with 60,000 fans, but from an English point of view, an agony to watch. 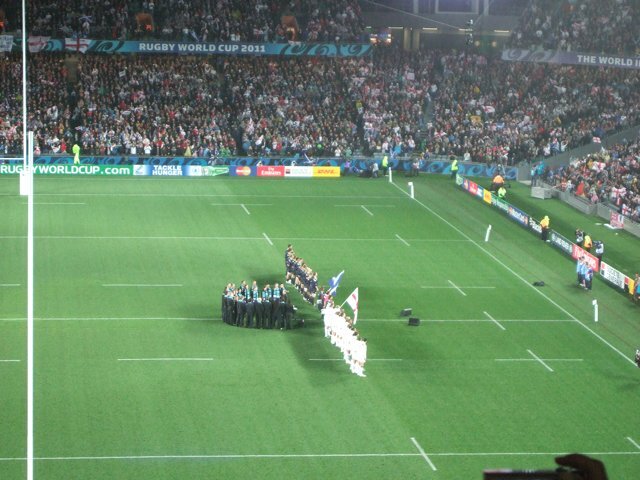 Most New Zealanders were supporting the underdogs, Scotland, so we were outnumber where we were sitting, high up in the stands directly behind one of the posts. It's just as well that Jonny Wilkinson couldn't hear what they thought of his missed kicks! The last 3 minutes were much better and it was good to walk home having won. Walking home was possible as we were staying in a motel 45 minutes walk from the ground, and we got back just in time to see the full replay of the game on Maori TV. For some reason England didn't look so bad on the TV. Perhaps it was because we knew they would win! 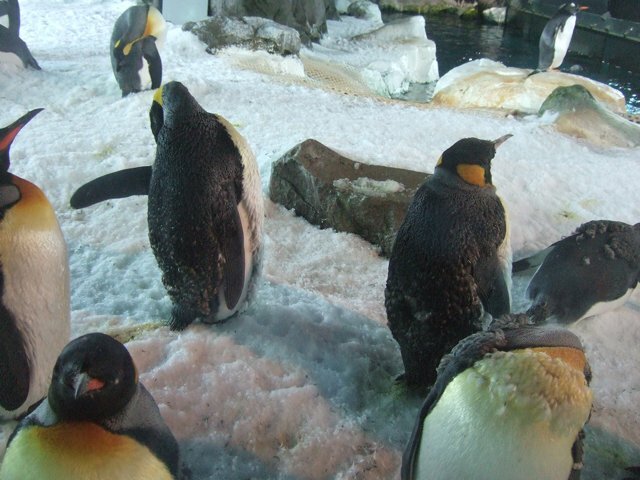 It was still overcast with some rain again today, so it was a visit to Kelly Tarlton's Antarctic Encounter and Underwater World (lots of penguins in an Antarctic-like setting (with lots of man-made snow) and an underwater perspex tunnels with sharks, rays and lots of other fish swimming around and above us. The journey back from Auckland to Tauranga was arranged to catch as many rugby games on TV as we could. So it was New Zealand v Canada in McDonald's in Hamilton, and Wales v Fiji in the Crown and Badger in Tauranga. 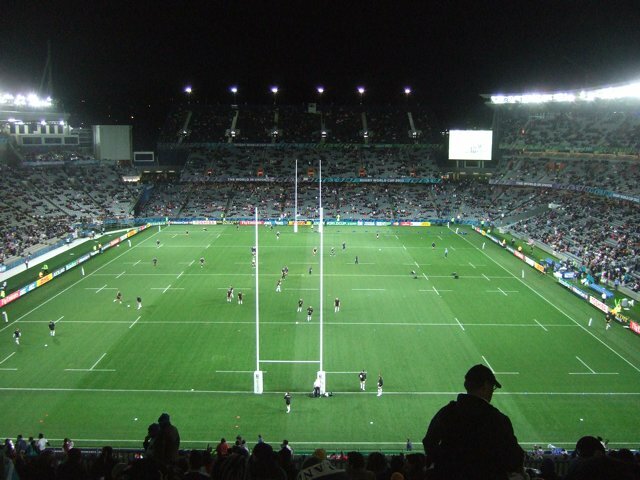 Unfortunately it wasn't possible to see the Ireland v Italy game as it clashed with a big rugby league game involving a NZ team playing an Aussie team, which everyone here was showing. All the remaining games of the World Cup are going to be shown live on Maori TV, so we hope to watch them in the comfort of home on the boat. 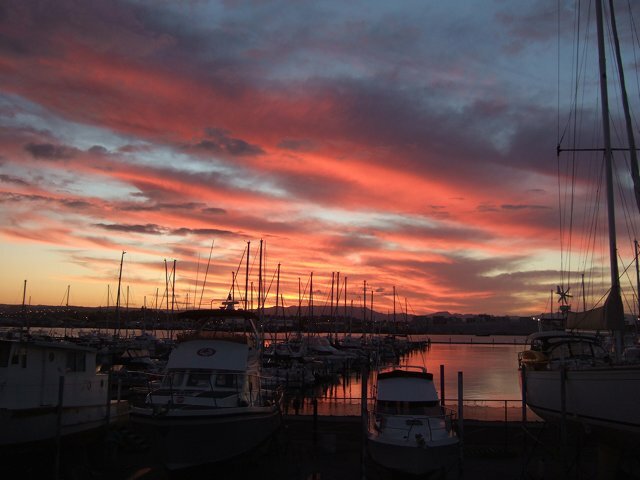 Red sky at night over the boat yard - heralded a fine day to follow. 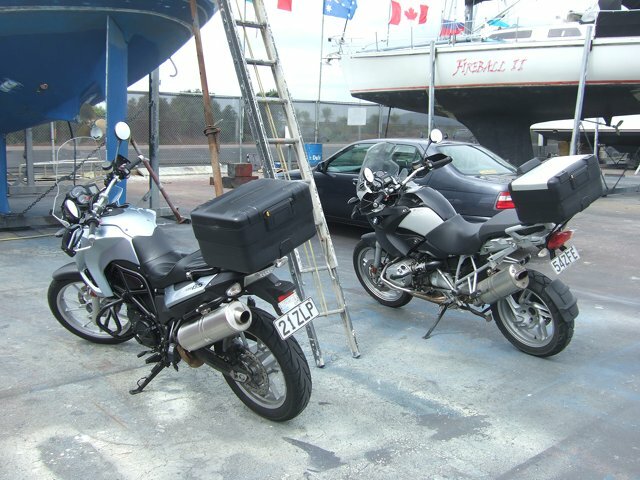 for the excitement of biking! More fans outside Eden Park stadium. 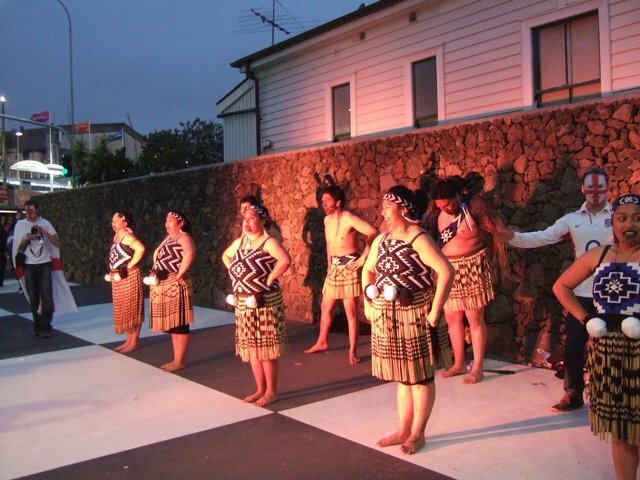 A Maori dance group outside Eden Park, with England supporters joining in. 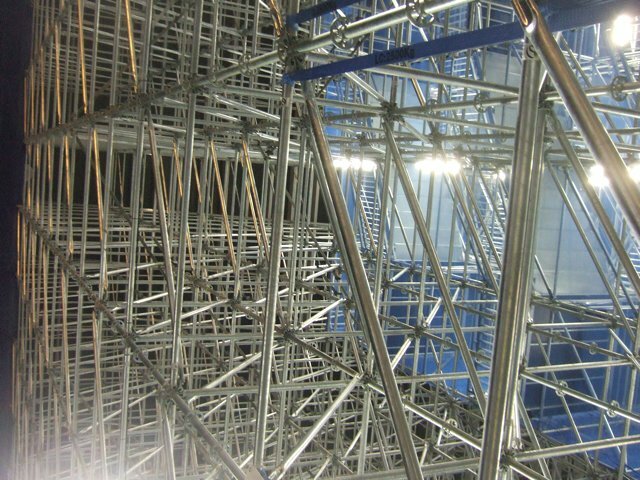 The new temporary stand - all built with scaffolding, a bit like giant Meccano set (see below). Stairs in the background - we had to climb up all of these! The view once we got there. The teams warming up. 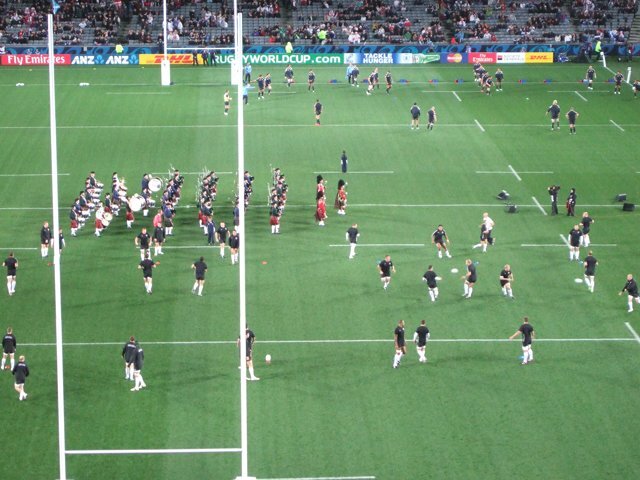 A Scottish band playing in the middle as the teams warm up. 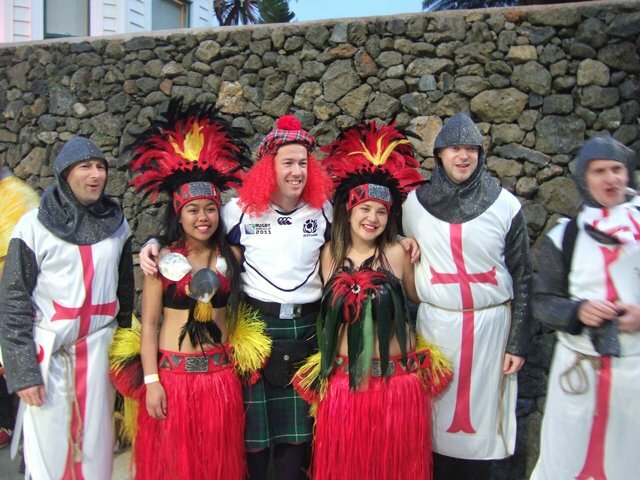 Try and spot Jonny Wilkinson! are relatively close to NZ - about 1/7th of the distance from here to London).